Tallaght born UFC flyweight Paddy Holohan is the head coach of SBG Dublin24. Paddy was a contestant on The Ultimate Fighter before he moved into fighting in the UFC. Paddy has fought five times in the UFC as well as fighting many times under other promotions. Now that Paddy no longer fights professionally, he has turned his full attention to SBG Dublin24. Paddy began his martial arts journey years ago and became a professional MMA fighter at the age of 19. He had a professional record of 12-2-1. Paddy was the number one fighter in Europe in 2015 and 2016 until he retired from MMA. He fought on the legendary fight card in Dublin with fellow SBG fighters Conor Mcgregor, Aisling Daly, Cathal Pendred. Paddy also headlined The UFC Dublin card in 2016. Paddy went along to a Brazilian Jiu Jitsu class when he was 18 in SBG Rathcoole with his best friend. He said on the way home in the car “I’m going to do this for the rest of my life”. He started coaching when he received his blue belt. Paddy is qualified to coach to the highest levels in many disciplines and has been coaching for years in other SBG gyms until he opened his own SBG Dublin24. Paddy is as passionate about teaching beginner children as he is teaching and coaching SBG Dublin24’s talented fighters. Joey from Athy is our jiu-jitsu coach here at SBG Dublin24. Joey took up martial arts at a young age. At 7 Joey took up karate. However, he moved onto boxing and kickboxing when he got older. 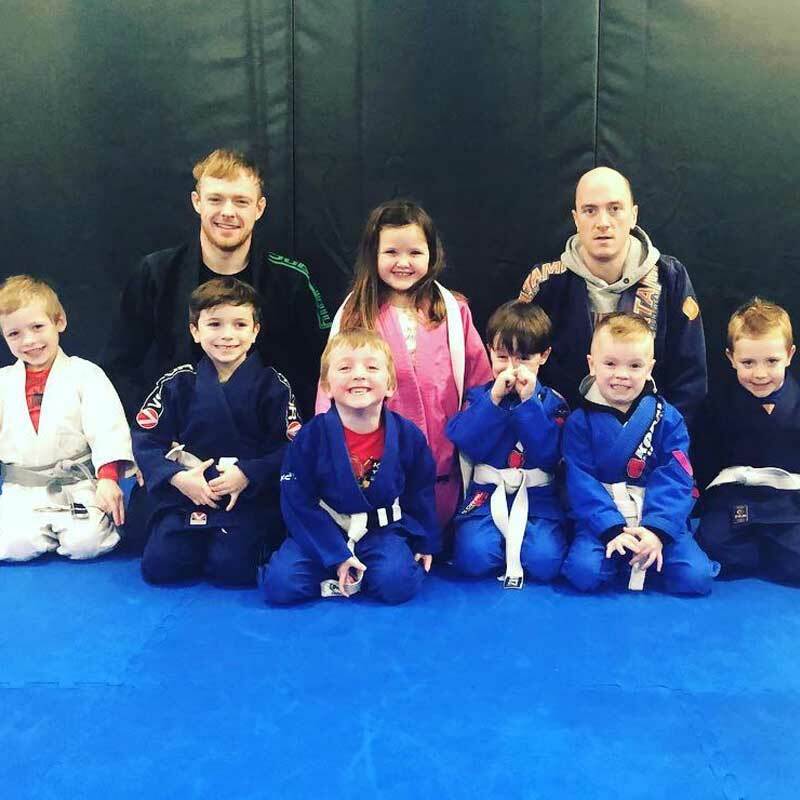 Joey began Jiu-Jitsu in 2007 and has been coaching since 2011 in SBG city centre, black rock, Concorde, Cill Dara MMA and most recently SBG Dublin24. Joey mainly got into martial arts because he thought ninjas were really cool and was inspired by movies like fists of fury. Joey’s classes are structured in a way that Joey felt would be best based on his experience of a lot of other classes. Students in his class will always have the opportunity to participate in live training, practising technique, good vibes and good culture. Joey strives to ensure that everyone moves at their own pace and learns the most that they can on the mats. Joey’s aspirations in martial arts are to truly enjoy martial arts as well as enjoying the rolling and the friendships that made on the mats. Also, he wants to get his black belt in jiu-jitsu. Nate from Timahoe in Kildare is a striking coach in SBG Dublin24. He took up boxing at the age of 12 and muay thai at the age of 18 when he was in Australia. He fell in love with the sport, continuously learning and eventually coaching muay thai. He went to Thailand in 2016 for four months to further his skills. When Nate returned to Ireland he joined the SBG Dublin24 coaching team. Nate states that everyone can get something from his class whether its learning a new skill or to simply crisp up on things. When asked about his aspirations in the world of mixed martial arts he said that he wants to fight as often as possible and be the best that he can be. Gary got into martial arts because he is from a boxing family. He also acknowledges that growing up in a rough area means that you have to know how to fight. Gary’s aunty Paula went to college with Paddy and this prompted him to join SBG. He was training with Owen Roddy for 3 years and this is when he learnt how a smaller person can beat a larger opponent. Gary’s classes are based on self-defence and real fight scenarios rather than sports Jiu-Jitsu. However, he does teach this element too. Gary’s favourite thing about BJJ is the fact it shows you your true self. To get “good” all you have to do is love Jiu-Jitsu and it will love you back on the mat. Andy from Tallaght is one of our BJJ coaches in SBG Dublin24. Andy got into martial arts because he was inspired by martial arts icons like Bruce Lee. He was interested in many different martial arts and did kickboxing when he was a kid. However, when he saw the UFC, he decided to join SBG. Andy has been training BJJ for over 10 years. He started in the kids and teens classes and received his blue belt from John Kavanagh in 2012. As well as coaching, Andy actively competes on the local Irish BJJ scene. Andy likes coaching because it gives him a different perspective on jiu-jitsu because he needs to look into techniques more in order to fully understand techniques. “I train jiu-jitsu because it’s a great way to challenge yourself and meet new people from all walks of life”. Tommy Martin from Tallaght is our wrestling coach in SBG Dublin24 and has been training for over ten years. Tommy took his first class in 2007 after hearing a motivational speech from his SPHE teacher in school. As a kid, he was into pro wrestling. 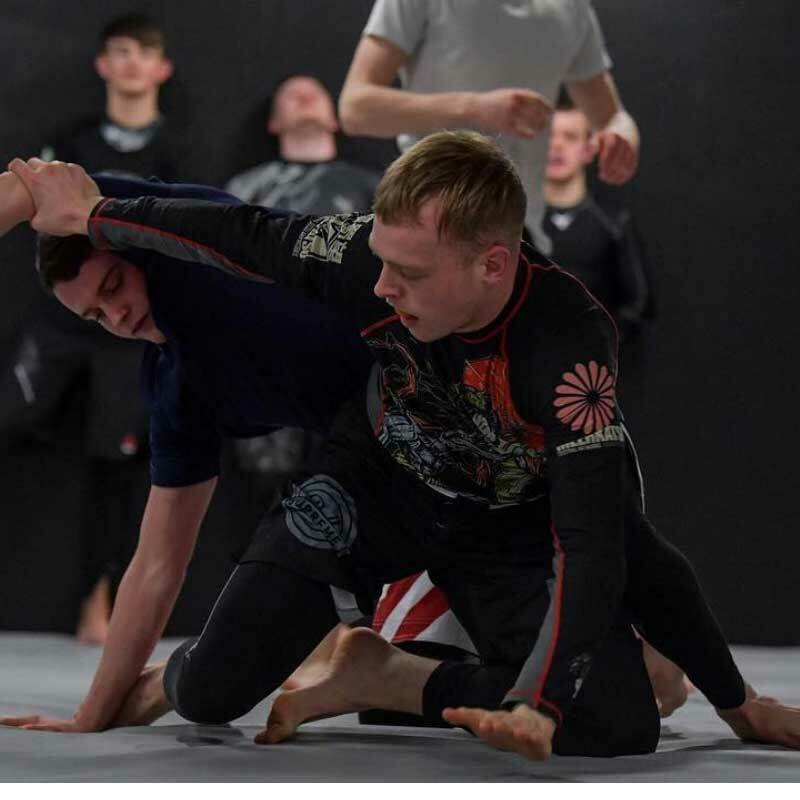 Boxing and Tae Kwon Do were popular but he wanted to do something different so when he saw submission wrestling in Firhouse, which is essentially nogi Jiu-Jitsu, he gave it a go and never looked back. All fighters acknowledge that having a good foundation in wrestling is extremely important. Tommy fights in MMA as well as other martial arts, because of this, he understands how to best utilize the art of wrestling at all levels of MMA. When you look at all 3 ranges of combat, striking clinch and ground, Wrestling is the middleman. If you’re a grappler how do you get the fight to the ground? If you’re a striker how do you keep the fight on the feet and avoid been taken down? It’s all wrestling. It gives you confidence that you can dictate where the fight takes place, gives you that extra edge in winning scrambles, and helps build mental toughness. Wrestling is essential for anyone looking to go far in MMA. Sam Doran is one of our Jiu Jitsu coaches at SBG Dublin24. Sam trains under Paddy Holohan and Joey Breslin. He started competing in Jiu Jitsu in late 2015. He has been a member of SBG for 4 years. In those years, Sam has had the honour to train and learn from some of the best Jiu Jitsu players in Ireland and also in Europe. Matin a highly regarded member of our striking coach team in SBG Dublin24. Matin fought and trained in Phuket in Thailand is now a part of the SBG Dublin24 striking coaches team. Matin started martial arts training when he was 12 years old. He got into martial arts because “it’s a family thing”. Matino’s Uncle is a very famous Grandmaster of Martial Arts ‘Massan Ghorbani’. The best thing about Matinos class is that you are being trained by a technician, who is constantly competing, improving and using a traditional style of Muay Thai/K1. Matino likes to coach because you learn something new every day, not only yourself but from your students. Matino aspires to be one of the countries top striking coaches. Dean Donnely is the head kids coach here in SBG Dublin24. Dean is highly qualified as a coach with years of coaching experience in martial arts and also being qualified as a personal trainer and strength and conditioning coach under the ISI. Dean competed and placed often from Dublin halls and the European stage. One of Dean’s favourite things about BJJ and martial arts is that everyone is equal when we’re on the mats. Your belt may show your rank but no matter who you are, everyone is equal. We all want to learn and express ourselves and have fun doing it. Dean likes to break things down in his classes with different analogies to paint a picture for everyone taking part in the class. A big belief of Dean’s is that competition proves who’s the best but training prepares you for the best”. Ross helps out with teaching the kids classes at SBG Dublin24. Ross began BJJ and MMA in 2015 in SBG Concorde. He has been training for training 2 years and moved to SBG Dublin24 with Paddy. Ross always had an interest in fighting/combat but when Irish MMA was starting to get noticed, Ross decided to get involved and start training. 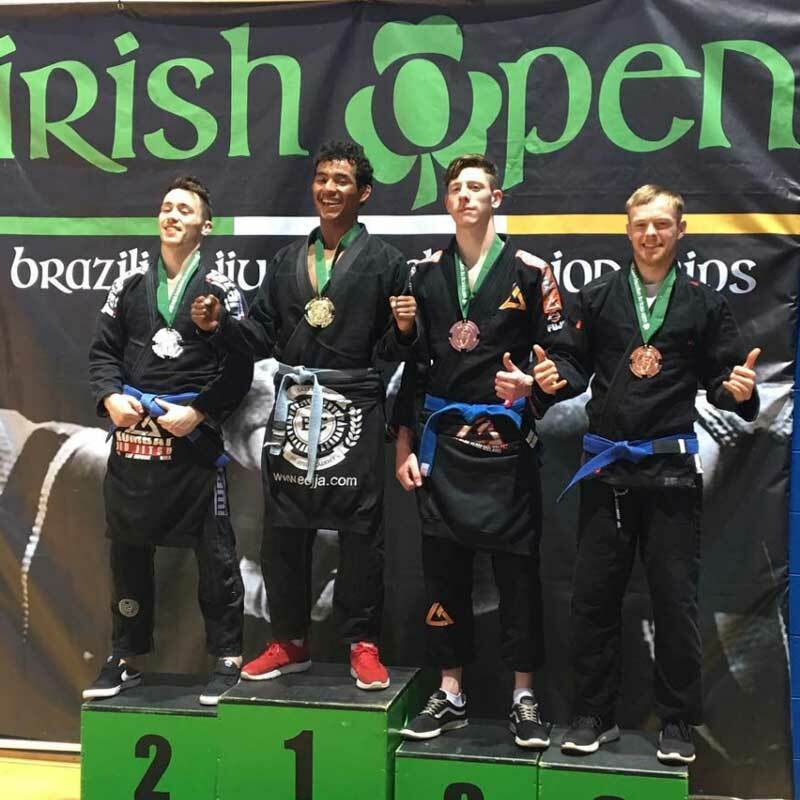 Ross competes in BJJ and won the Irish Open gold, NAGA gold twice. Ross says his favourite thing about BJJ is that you’re always learning. BJJ leaves you thinking “what’s next?”, “what if?” and “how?”. Ross says BJJ/MMA can change the way you look and approach daily tasks, school work or work.